A context rich picture of Montana and Mary’s exploits in the early 1900’s. The story of how she helped to tame the Wild West, and preserved Handweaving for generations to come. There have been many suggestions of how weaving and computing are tied together. Get the real scoop with this presentation. Learn where the binary terms 1 and 0 originated and see the original processor and is storage unit. 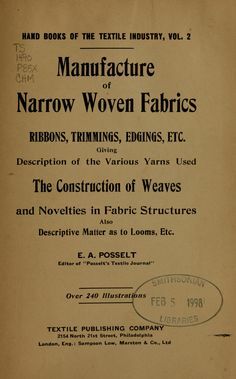 What was the first weaving book printed? Who was it written for? Where did the book travel to and how was it used after it got there? Who was influenced by it? Disturbed by the number of drawlooms that were being destroyed in favor of the Jacquard Loom, Luther set out to preserve knowledge of the drawloom before it was gone. 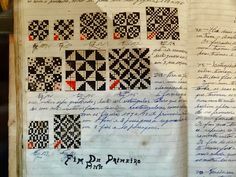 He found a way to document the constructions of the loom for a home weaver, and provided a series of lessons on learning to design with it. 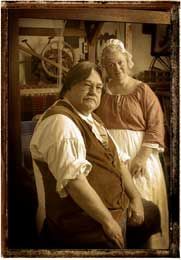 Learn about his life and times, and the weavers who followed in his footsteps. 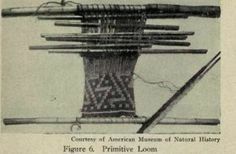 The Progressive Era, was a formative time for weavers in the United States. 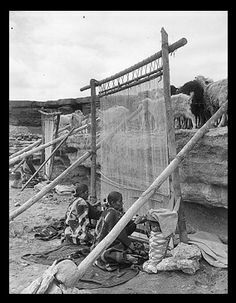 Learn who these weavers were and how they contributed to advances in modern hand weaving technology. See how they faced discrimination in education, war, and economic adversity to open doors for others. The research that I complete on this tour will be made available to the public, my hope is to make is self sustaining, and you the collector can support my efforts by purchasing items from the handweaving collection that will come from my travels. 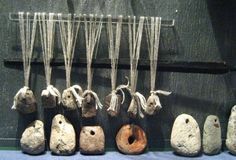 Weaving has a long history, almost traceable to the beginning of time. 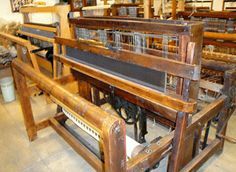 On this page I would like to share with you information about weaving history that I have uncovered recently. You may find videos, pictures, stories and more here. Needless to say I am not an academic my nature I am mostly interested in weaving history as it relates to people and their local culture. 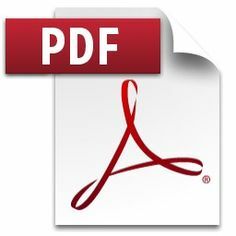 As a result you may find spicy stories, and fanciful weaving tales as well factual history presentations. 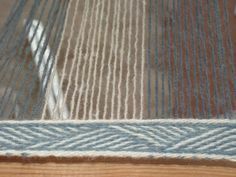 My intent is strictly to entertain and inspire you to start or keep on weaving and to feel a connection to all of the weavers that have come before. 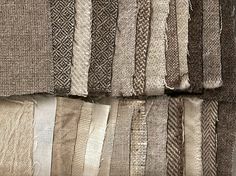 Manufacture of narrow woven fabrics, ribbons, trimmings, edgings, etc. 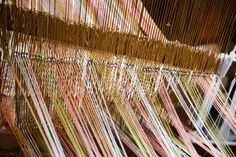 Vicus.org.uk: discussion of warp weighted looms, including card-woven headers and selvages. 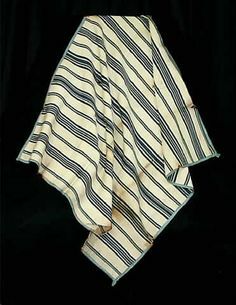 Blanket, baby's, off-white and blue striped wool, hand-woven, c. 1775 Hand-woven fine off-white wool yarn; striped pattern with alternating thick and thin bars of different shades of blue intermingled with off-white; entire piece is bound in a medium blue silk tape, hand-sewn. 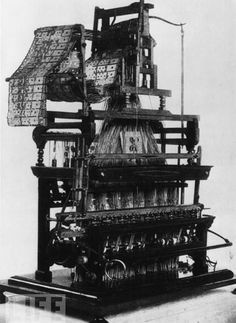 This weaving loom, designed by Joseph Marie Jacquard in 1801, was the first machine to use punched cards to control a series of sequences — a key step in the development of computer programming. 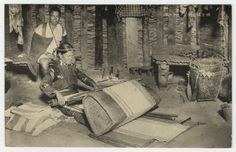 Costume history on fashion-era.com - An Egyptian woman weaving cloth on a primitive upright loom.